Time until Racing Damashii release day! Racing Damashii (レーシング魂?, Racing Spirit) is a motorcycle racing video game from Irem for the Game Boy handheld, released in 1991 exclusively in Japan. The game features tracks all over Japan. 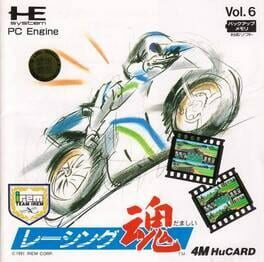 Racing Damashii was also released for the PC Engine.